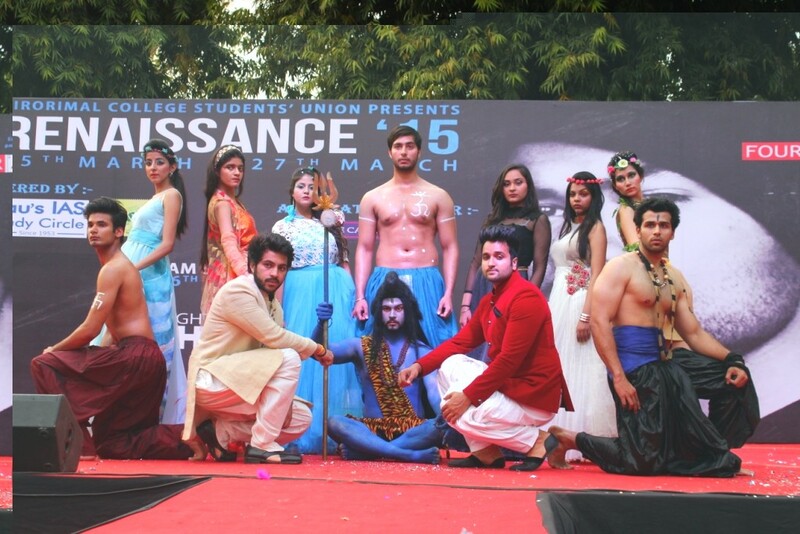 Delhi College of Arts and Commerce (DCAC) – Delhi University: Delhi College of Arts and Commerce is an institution of Delhi University (DU) South Campus situated in Netaji Nagar. The college is well known for its Honors program in Journalism which was introduced in July 1989. The reason for the introduction of the course in DCAC Delhi was that Journalism holds an important part of the modern day media as press and media are an important organ of mass communication. Journalism establishes an open path for the communication of vast majority of people for the development of society and creating awareness in the society. Hence, the accelerated growth of media has begun demanding quality professionals in India. The Journalism course in Delhi College of Arts and Commerce is very sought after and usually the college releases high cut off for this course. Previous year, the first cut off list of Delhi College of arts and commerce was published on 25th June 2015. 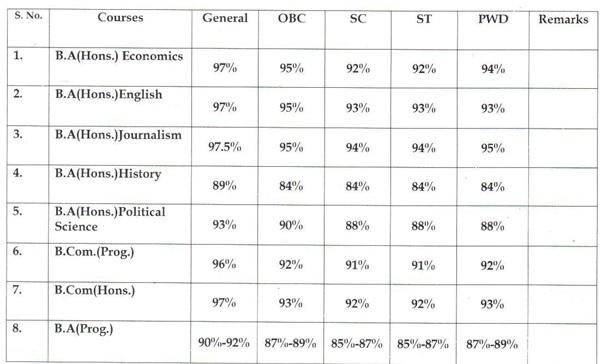 Like all the other colleges belonging to Delhi University, the DCAC cut off 2015 was also pretty high. The cut off percentage of few of the widely chosen courses such as B.Com Hons. Was 96%, B.A. Hons, English was 97%, B.A Hons. Economics is 97% and so on. You can refer the following table which displays the previous year first cut off list of Delhi College of Arts and Commerce. Following this trend, it is expected that Delhi College of Arts and Commerce (DCAC) cut off 2016-17 are also going to be very high. The DCAC campus comprises of an Auditorium which hosts major college events such as intra college competitions, guest lectures, freshers and farewell parties, etc. The Delhi College of Arts and Commerce campus contains a library, computer labs, conference hall, canteen, girl’s common room and N.C.C room. Bachelors in Arts (Programme) with specialization in Advertising, Marketing and Finance. Recruitment – Placement of jobs in DCAC has been running successfully since past 6 years. The placements initiates the process of placement by organizing various seminars and workshops where students are briefed about the companies visiting the campus for placing them. Following are the companies that has visited the Kirori Mal College for on campus placement: Google, Capital IQ, KPMG, Ernst and Young, Royal Bank of Scotland, Cians Analytics, Protivity, Tata Consultancy Services, Genpact, IBM, India Infoline, Bharti Airtel, Eon Electric, Naukri.Com, 99 Acres.com, Aon Hewitt, Zomato. Sports activities: the students of Delhi College of Arts and Commerce have always been an active participants and have achieved in the field of sports, such as: swimming, boxing, fencing, judo, taekwondo and athletics. I got 400 marks out of 500 in 12th arts. May I take admission in B.A.llb or in B.A. jounalism and maas com.